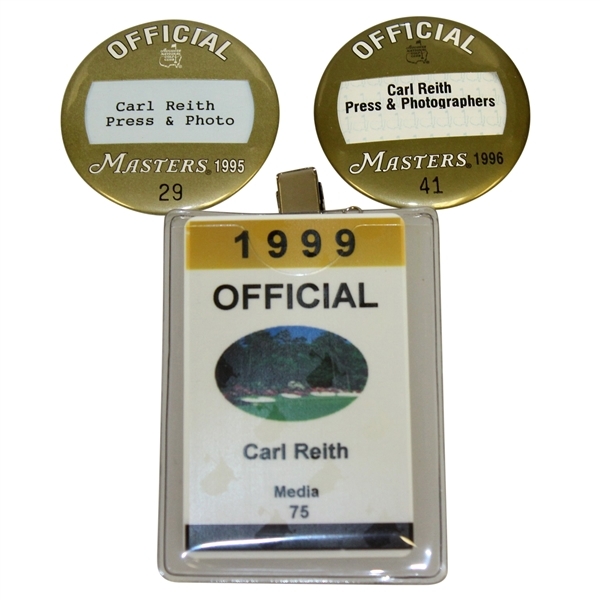 Offered here are a trio of Carl Reith's Masters Tournament press badges. 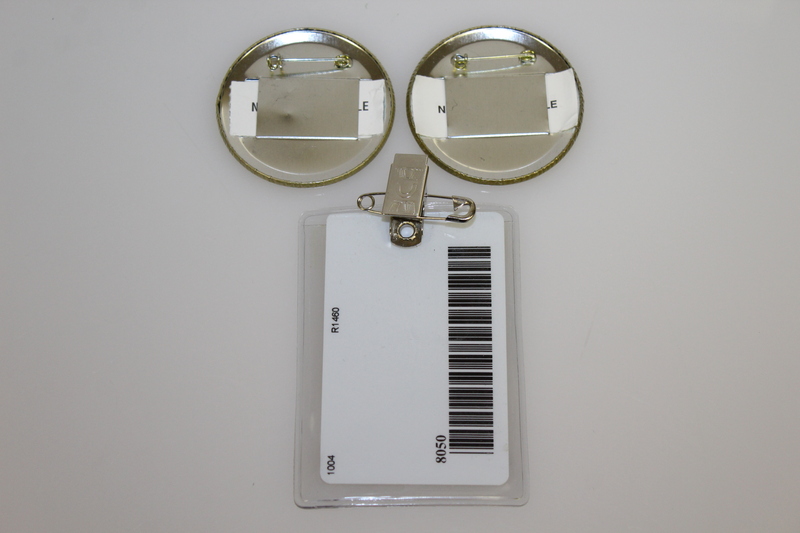 All come in great condition and are highly presentable. 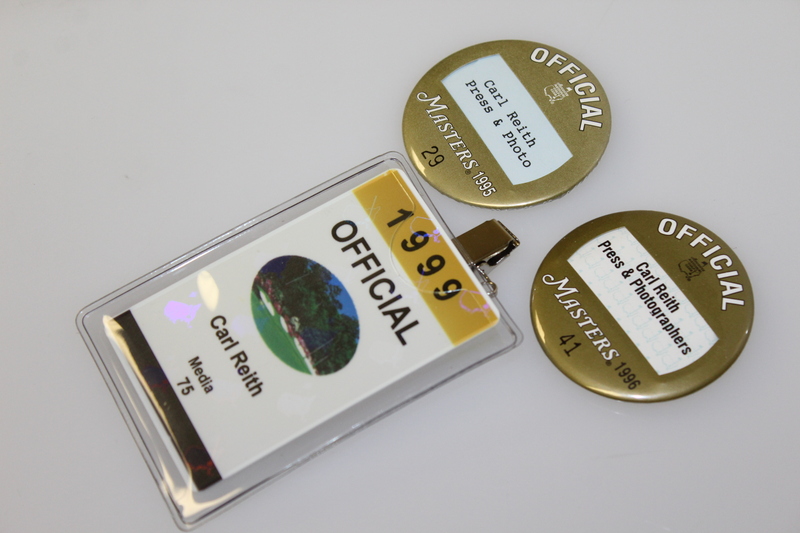 The 1995 Masters saw Ben Crenshaw claim his second title, 1996 saw Nick Faldo win his third, and 1999 saw Jose Maria Olazabal claim his second title.